One of the great things about Ary trays is that they are manufactured from sustainable birch wood certified by the Forest Stewardship Council. This eco credential appeals to the owners of Galerie CO, a gallery/shop based in Quebec which sells environmentally sound products for the home in store and online. 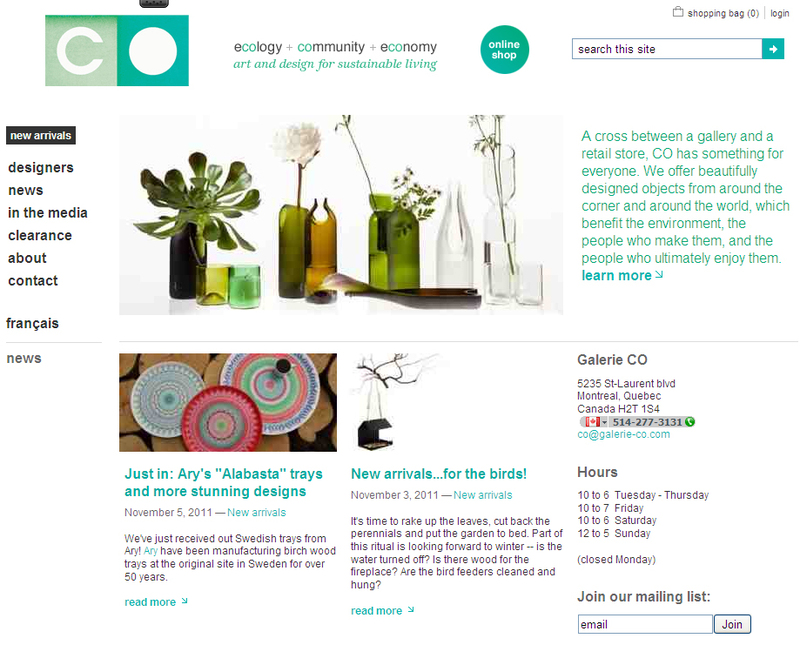 The idea at CO is to present "a collection of pieces that are functional, contemporary and beautiful. They are also fun, a little eccentric and often entirely unexpected." They have just received their shipment of Alabasta Folk Stripe trays from Sweden in the 49cm and both 38cm colourways so now we are selling across the pond in both the US and Canada. Find them here. By the way, on their news page about the Ary trays just in they mistakenly call me a 'he'. I can assure anyone reading that I am definitely female!